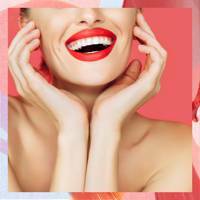 Even if you didn’t spend your summer wistfully watching the stunning Love Island cast flash their pearly whites at the screen, chances are you’ve heard all about teeth whitening kits and teeth strips, but we’re here to break down the real results of those peroxide solutions. If you’ve always wanted to try your hand at one of those stick-on, speedy strip treatments but want to know if they REALLY work, we’ve put them to the test for you. With startlingly fair skin – no, really, make that translucent skin – I have always struggled with ensuring my teeth look the right side of ivory. Short of layering on coat after coat of fake tan, I thought there must be a more permanent way to make my teeth as blindingly show-stopping as my ex-boyfriend’s frosted tips "highlights". Enter Crest Teeth Whitening Strips. Peel off, apply and sit back sipping no liquids while the peroxides and bleaches do their magic. Simple, right? 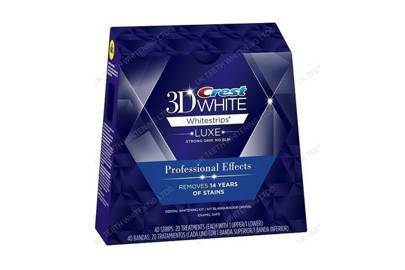 One of the best brands in the biz is Crest 3D, are widely sold in the U.S. but unfortunately, they're not so readily available in the UK, so unless you're off to the States soon, you'll have to go without for now. The shorter one is for your bottom teeth (nobody’s going to see those lower molars that often), and the longer one is for your top teeth. Apply the bottom first, followed by the top. 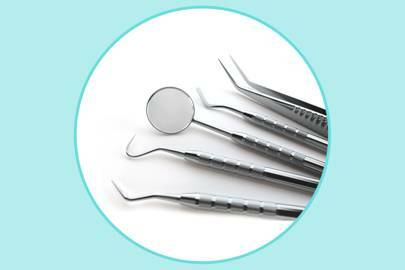 Line each part up so it isn’t resting on your gums wherever possible to avoid any unnecessary pain. 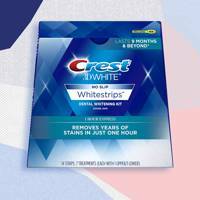 Perhaps the most-wanted teeth whitening strips on the scene, Crest 3D Professional Effects Whitestrips are an upgrade of the original Crest whitestrips, and offer a professional level of whitening from a simple course of 30-minute treatments. I used a set of 40 strips – that makes 20 separate treatments – to make sure I got the full effect, but you can buy in smaller sets of strips if you want to test that they work for you or get a top-up on existing whitening. With Crest’s Advanced Seal™ Technology, the strips certainly don’t slip. At 30 minutes, they’re ideal for shoving on in the morning as you get ready, or before you get ready for bed. The feeling takes a little getting used to, but is more than passable as far as beauty treatments go. 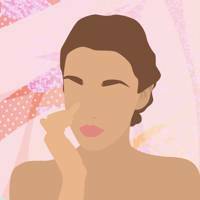 Unless you’re experiencing sensitivity, you can do a treatment a day. If juggling these on top of your busy lifestyle isn’t possible, there’s no problem, and you can space out the treatments as you see fit. The strips promise visible effects in just three days, and I wasn’t disappointed. After five strips, I was extremely pleased with the effects. By the end of the course, I could get away with a whole coat less of fake tan (a big deal) and for the first time ever, people were complimenting my pearly whites. The verdict? I’m entirely sold, and slightly sad that it’s over. At the equivalent of just under £50, these are a bargain at-home alternative to expensive dental treatments that will set you back a lot more. 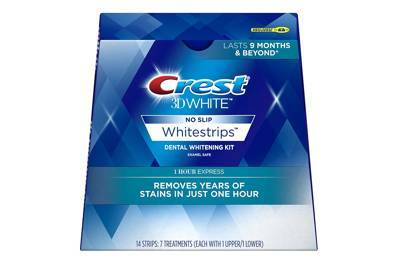 The Crest 3D Whitestrips 1 Hour Express Treatment strips were the next on my bucket list to try. Perfect for an intense top-up for a big event; think that trip to Ibiza with the girls or your wedding day. The 1 Hour Express treatment strips are just as handy and useful as the longstanding champion Professional Effects, except you can keep them on for double the time - meaning double the whitening effects. The slightly uncomfortable, thirsty, dry-mouth feeling of having a strip on your teeth for thirty minutes is slightly amplified when doubled, so I suggest you throw yourself into an activity, or watch a solid episode of your favourite TV series so you're suitably distracted and time moves more speedily. After just two strips, I could see a noticeable brightening to my smile, so these definitely do what they say on the tin. If you've got the one-hour block of time to spare, these will give you the results in half the days, and mean you can give yourself a harder hit of whitening safely. With a one-hour use, applying strips day after day left me with slight sensitivity, so I ended up holding off on the second half of the pack to give my teeth a break. I'm saving the rest of my pack up for another boost pre-holiday, but I've already noticed my flatmates eyeing them up. If you're self-conscious about your smile, these are a fail-safe at-home whitening gift from the gods. 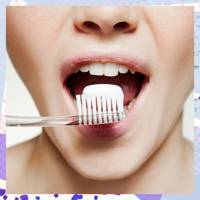 The method: By far the easiest way to get a head start on your pearly whites. This off-the-counter option is a budget hero that delivers results over time, but most importantly cares for your dental hygiene. 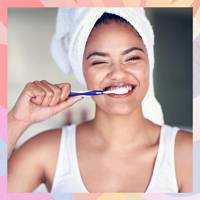 The way toothpastes and mouthwashes work to brighten your smile is by employing polishers and abrasives that will remove surface stains and lighten discolouration (like dark spots), combined with gentle chemical bleaching agents to whiten. 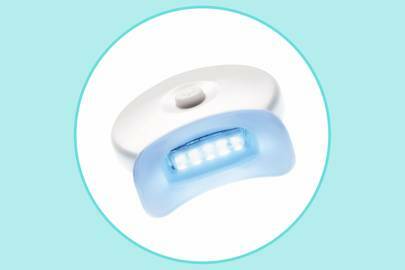 The new , also contains 'optic brighteners', which reflect blue light to make your teeth look instantly whiter. Kind of like how purple toning shampoo eliminates brassy tones and brightens blonde hair. The results: Let us stress again: *gentle* chemical bleaching agents – otherwise you wouldn't be able to use them every day – so a toothpaste and a mouthwash will never get you a Hollywood-white smile. But they will help remove stains, giving the illusion of a whiter smile and keeping your mouth healthy. So it's a good idea to use these as continued treatments before and after other whitening methods. 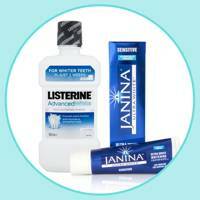 Product suggestions: Listerine Advanced White, £5.60, ; Janina Ultrawhite Whitening Toothpaste, £11.50, , Colgate Max White Expert Complete Whitening £6, . The method: Strips are the next step up from toothpaste, but can still easily be done at home. Strips are pre-coated in a gel that can contain between 1-10% hydrogen peroxide, and should be applied to dry teeth and left for up to an hour. Strips tend to have stronger whitening agents in them than toothpaste, and therefore should only be used every two weeks. The results: While a whitening toothpaste will produce gradual results, strips have a more noticeable effect with a slight difference before and after use (especially the very first time you use them). 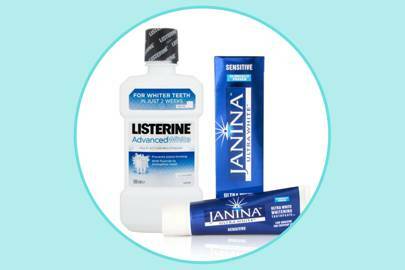 When used in conjunction with a whitening toothpaste, you'll see the best results. 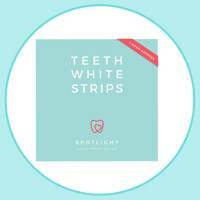 Product suggestions: Spotlight Teeth Whitening Strips, £40, Crest 3D Professional Effects Whitestrips, £49.73, . Read our review of the Crest strips here. The method: Now we're crossing into professional territory. 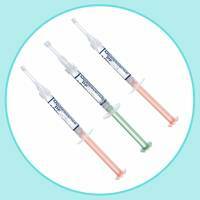 Although you might have heard that 'a friend of friend' bought the gel syringes and did it all at home, we strongly advise you to pay a visit to the dentist before trying this method. 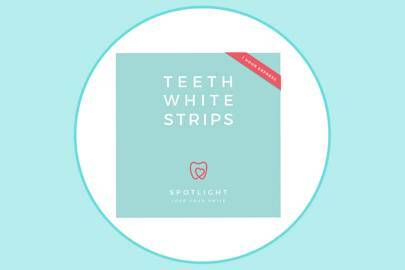 Here's why: while the whitening strips get great results, the gels can really give you that super white smile. Simply because strips contain 1% to 10% of hydrogen peroxide (the main whitening agent on all these products), while the gels can go up to 35% - yep, quite impressive. 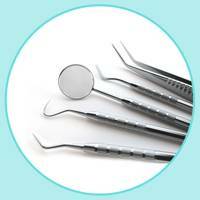 And because just applying the gel onto your teeth, may cause irritation to the gums and unwanted whiter spots, you should have a tray made specifically for you - an online-bought ill-fitting tray can cause the same problems. So visit your dentist, they'll be able to tailor make a tray for you and administrate the gel percentage you should be using. 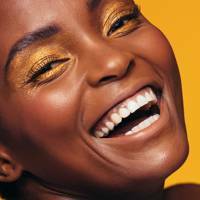 The results: The closer you'll get to an A-list worthy smile without paying the price of a professional Hollywood whitening treatment at the dentist's office. The treatment is done overnight for about a week or two, and may cause sensitivity. Bonus points for the long-lasting results (we're talking years people, years!). 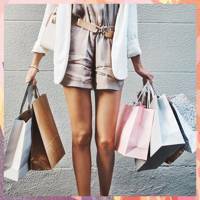 Product suggestions: It is a known fact that the best whitening gels are not sold wholesale, but you can find products online if you already have your tray and just want a top-up. The method: We've said the good, the bad and the 'take my money' right? This is the bad. Well, not necessarily bad, but these are pretty useless. You've probably seen this whitening lights all over Instagram - and while the Kardashians-Jenners might be promoting it, you shouldn't be fooled. UV lights are usually used in dentist offices to speed the breakdown of hydrogen peroxide during whitening treatments - so for starters, the light has no function whatsoever by itself. 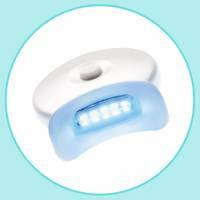 Most recently, a study published in the Journal of Evidence Based Dental Practice stated that using a "blue light with a wave length between 480 nm and 520 nm," to activate the peroxide had "no real added benefit". Sooo, yeah, total myth. The results: When the correct wave length is used at a dentist office it can accelerate the whitening process, but by itself it has no use whatsoever. The method: Aaaaah the white glove treatment! 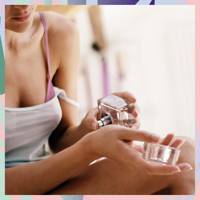 Do you really think celebrities use at-home kits every night? No, no they don't. This is a one stop shop (at the dentists office) with a starting price of £500 - yes, you've read that right. 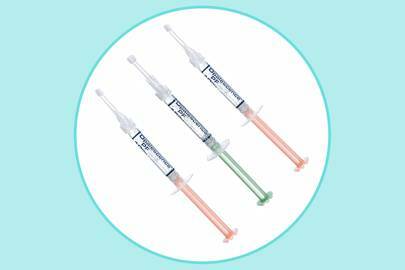 Overall, in clinic treatments will always be more effective than at-home ones: "Because the level of whitening agents is greatly reduced in kits like strips and gels. 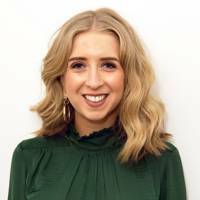 In clinic treatments can be tailored to your needs; if one tooth is significantly darker than others this can be targeted and brought up to a same colour as the others" - says Tim Bradstock-Smith, from The London Smile Clinic. In other words, your smile will be worthy of its price tag. The results: A-list worthy and what we like most about this one: it's instantaneous! You won't have to wait to see progress or continue with the treatment for weeks. You just have to walk in and walk out of the dentist's office, 30 minutes (to an hour) later. Product suggestions: The London Smile Clinic's brilliant Philips Zoom Teeth Whitening treatment is £795 at The London Smile Clinic, Ground Floor East, 40-44 Clipstone Street, London W1W 5DW. Call 020 7255 2559 or visit for more information. 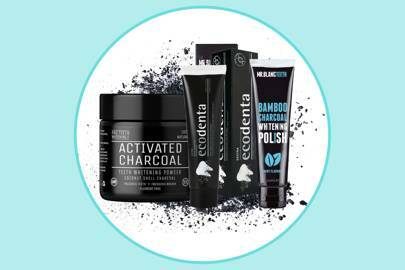 The method: Charcoal is by far our favourite - and the most trendy - way of whitening teeth. 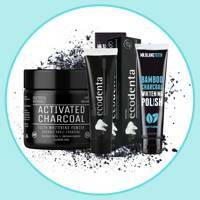 DIY a whitening toothpaste by buying activated charcoal from your local health food store or pharmacy. As it is usually sold in tablets you can grind up one or two, and mix it with enough water to form a dense paste, which you will use to brush your teeth with for at least three minutes. Rinse and then brush your teeth normally with your usual toothpaste. You can also just buy ready-to-use charcoal formulas and toothpastes. The results: Subtle, but definitely more visible than your regular whitening toothpaste & mouthwash. We love that the results are quick and organic.